I’m looking for cheap material to learn with. I’d like something that can hold detail well enough to see what I’m going to end up with before committing to something expensive (brass, aluminum). Something cheap enough that I don’t really think too hard about making mistakes. I had thought that renshape and it’s friends would fill the space nicely, but it turns out to just be too expensive (even in sheet form, a 2"x16"x60" piece runs $400+…and that’s still a LOT more material than I think I want) SignBoard seems like an awfully close cousin, but I doubt the pricing is much better, and I can only find it in full 4x8 sheets, but at least I can find a local sign supply shop that will sell it to me. 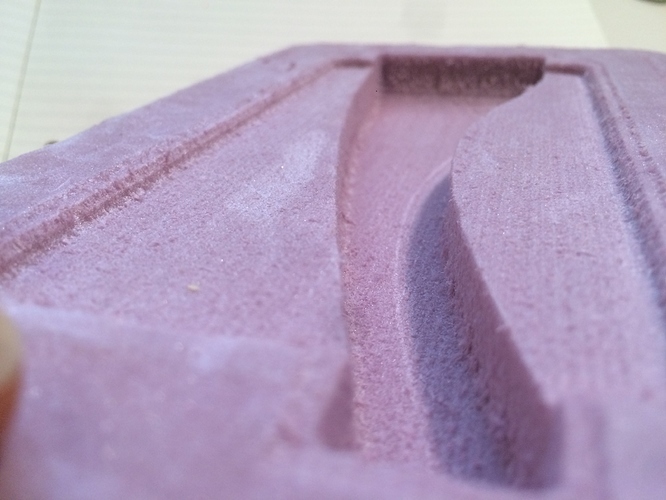 Machinable wax looks like more hassle to reuse than the time is worth, but the material is too expensive to just throw away. Actually getting renshape like material from someone local is a lot more difficult than I would have thought, at least here in the midwest (Minneapolis/St. Paul). Was considering composite decking (Trex and such), it’s pretty cheap, it’s easy to get, should hold detail better than softwood, easy-ish on cutters. So…ideas? 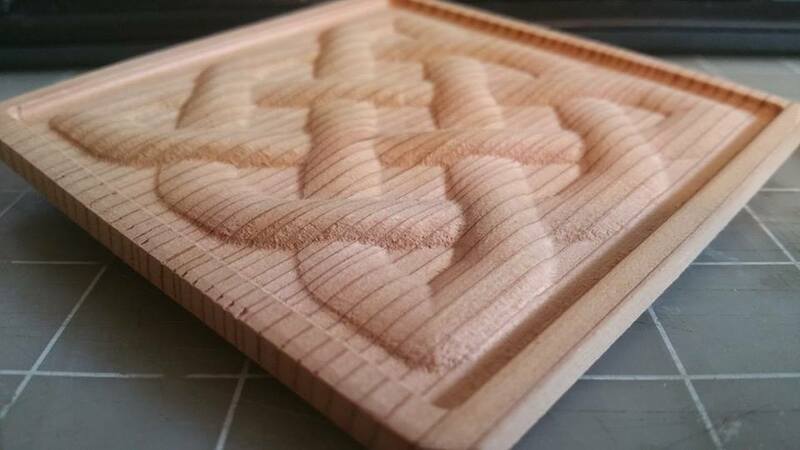 I usually use MDF or HDPE when I need something inexpensive to try out. I use MDF sometimes although it’s kind of hard on cutters due to all the glue. Maple machines pretty well and I use that a lot for making tests. I’m located in Mpls and have some maple scrap if you want to try it without buying a large board. Wax turns out to be more expensive than you would think (2x3x5 = $10, 1.5"x2x3=$7 -> more expensive than renshape in small quantities), and although its reusable it’s got a hassle factor to do so I just don’t need. @twforeman: I’ve got some 4/4 and 5/4 cut offs of maple that I picked up for ~$2/LB that’ll work ok for now, just poking around for better answers. It’s $25 but you get $25 credit towards a future order. 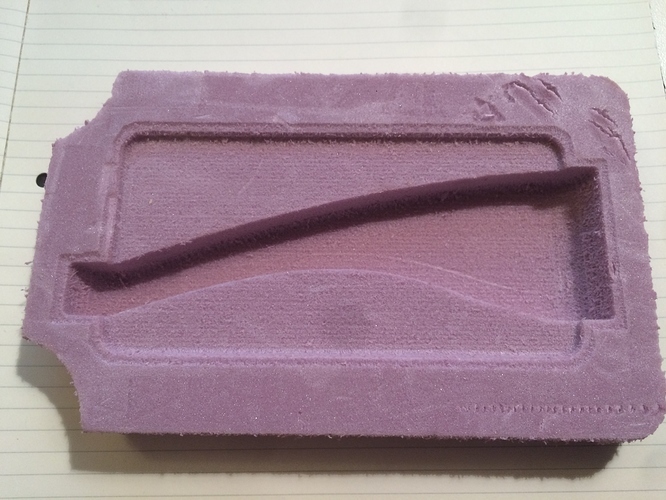 You get a number of decent-sized Renshape (and other material) pieces that you can test on. The bonus is that you get a wide variety of the Renshape forumulations so you can also see which one best suits your needs should you decide to purchase more. It comes in various sizes, but since I live in a small apartment I always choose 2’x 2’ squares, which run about $6. You can cut it up into 8" blanks with a box knife. I holds detail very well. You can glue it to itself with Gorilla glue, (do NOT use super glue!). It cuts nearly silently - certainly quiet enough that I can run jobs at night when the kids (and wife) are asleep. And best of all, you can run through this stuff pretty much as fast as you like without endangering your mills, which will reduce testing time significantly and save wear on your cutters. I use it routinely with a .125" end mill at about 7500rpm, 85 IPM, 37 plunge, 90% stepover, 100% step down, and I’m pretty sure it could go faster. Tip: give everything a quick wipe with a dryer sheet to make the styrofoam chips easier to clean up. As has been noted before on these forums, Loews also sells a version of this which is blue, and does not work as well for our purposes. Here’s a picture of the bottom part of a passive speaker for an iphone. It’s been floating around in a drawer for a few months, so it’s a bit banged up. Here’s a closeup. This is the finish you get when you run flat-out. It’s not lovely, but it’s perfect for proof of concept stuff and testing. Here’s a toy free weight that I’m making for my kids. Ran it more conservatively - still faster than the MeshCAM defaults for Wax I think, so the finish is still a bit fuzzy, but this stuff sands very easily with 320 or higher. It is paintable with latex, and if you prime it with some Killz2 you can spray paint it with Plastidip so it will look like rubber. 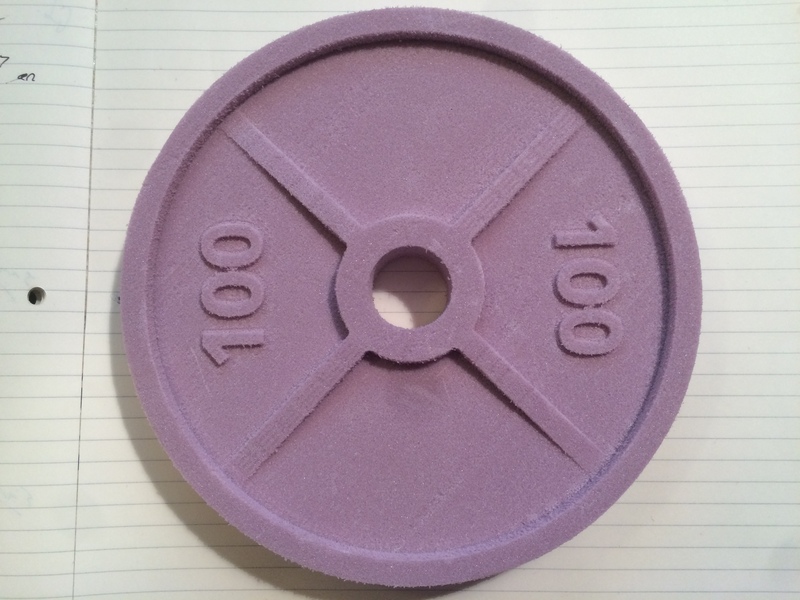 That’s the plan for the weights. I hadn’t realized my post was linked to there. Cool! Thanks for doing it. I think if possible it might be good to change the reference so it links to the much more complete explanation above. Thanks again for keeping up the wiki! It’s a great resource. Done (just added it as the first footnote link). Mine was $14 shipping to Texas but I also ordered a very heavy box of cured resin samples at the same time. The Media Sample Kit is relatively light in comparison (the wax is probably the heaviest item in there). I bought two boxes of cutoff HDU from Atlas Signs for $10.00 a box with $10.00 shipping , so $30.00. The pieces range from pretty much useless (unless you need pen blanks) to some very substantial pieces (I got several 2"x3"x12 pieces). I am planning on Gorrilla gluing a couple of smaller pieces together to make a larger piece but most of the material is smallish, maybe around the size of a hand and between 3/4" and 2" thick. 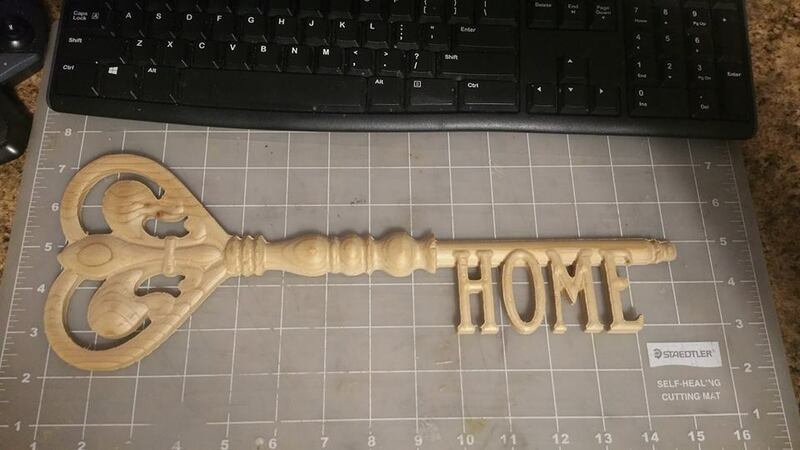 You aren’t going to be routing business signage out of it, but it is pretty great for ‘ornamental’ or ‘funsize’ projects. I’ve been enjoying HDPE lately as it is self-lubricating, machines nicely and doesn’t break tools. It’s about $22 for a 12"x12"X1" sheet. 1" is about the thickest I’ve seen. You could even melt water bottles in a little coconut oil (reduces smoke vapors)and mold your own blocks. There are recipes online. It’s actually a pretty nice material and I’m suprised more things aren’t made from it. If you have a Dollar Tree store or similar in you’re area, you can get all sorts of plastic dominos, wood blocks etc. I second the pink foam board. cheap and easy to work with. I also like cedar fence boards for the same reason. you only get about 6" of width by about 3/4" thickness but at $5 ea you can get more than a few practice pieces out of one or two boards. 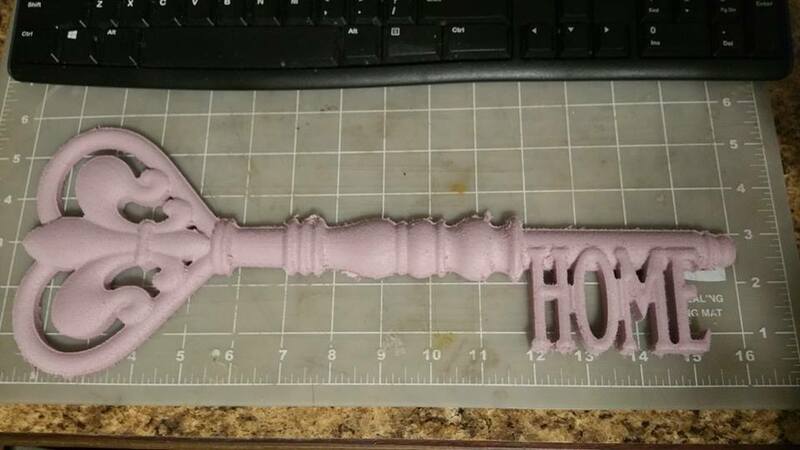 Do you think it would hold up to some vacuum forming? Ive been using PVC trim board for all my proto work. my last purchase was a 10’ stick of 5/4" x 4" for $20.00. It machines very well even at high feed rates. Im currently using this stuff to prototype a gear box for a small 12v DC motor. This stuff is strong enough to be screwed together yet soft enough that you dont need to actually tap any of the holes. Just drill them a little small and thread them in. I like to use #8 coarse thread pan head screws when fastening pieces together. We have a lowes and menards here in illinois where I buy the stuff. Its always available and always have several varieties in stock. It can also be laminated together with standard PVC cement. Very versatile and cheap! The only downfall is that the machined edges pick up the dirt from your fingers very easily and wont come off but for prototyping that has never been a concern for me. One last thing, you can die the cut pieces. I use rit die from walmart. How cool is that! 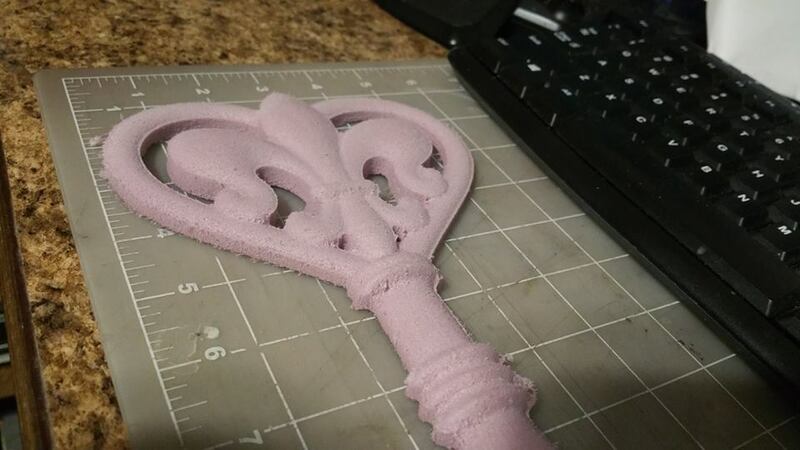 I’ve had success with floral foam for test cuts. Its super cheap, but messy.